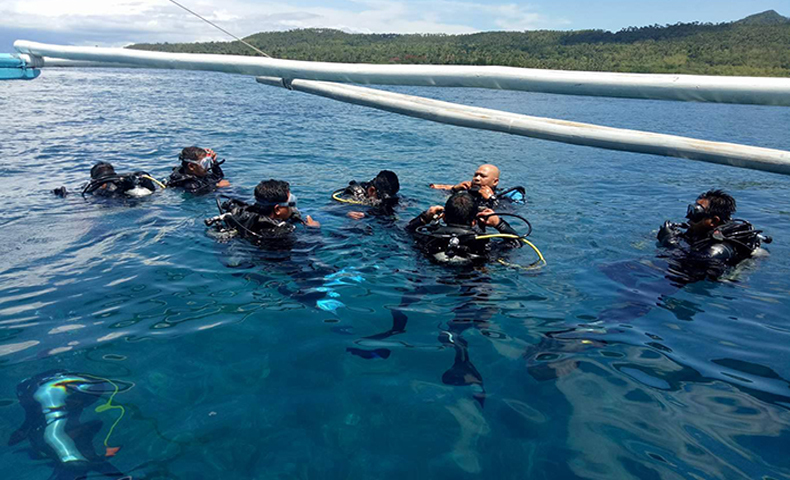 Lobo, Batangas -- ABS-CBN Lingkod Kapamilya Foundation’s Bantay Kalikasan partnered with Studio H2O to give rescue dive training to five of BK’s Bantay Dagat Divers. The 4-day course in Lobo, Batangas and Verde Island Passage dive site introduced the divers to the different knowledge, skills, and practice of rescue diving such as: Self-rescue, usage of equipment especially during emergency, handling and managing the stress of other divers, and rescuing panicked and unresponsive divers. This training was done in preparation for Bantay Kalikasan’s emerging marine eco tourism site in Lobo, Batangas. The said site is funded by First Gen Corporation. Learn more about the upcoming projects and eco tourism sites of Bantay Kalikasan by visiting www.abs-cbnfoundation.com.